This project is a requirement of the GOA Abnormal Psychology Course. Using the process of design thinking, a challenge in the world of mental health was identified, interviews and research were undertaken, and a solution prototype was developed. Below you will find information about the identified area of concern and my proposed solution. Please feel free to provide feedback on this prototype, using questions such as “How might we…”, “What if…. ?”, “I wonder….”, “I like…”, and “I wish.” Keep the comments positive, please. For more information on the process of Design Thinking, click here. The goal of my project was to help incoming freshmen transition into high school and learn how to maintain good mental health and figure out where and how they could find support in this new environment. To accomplish this, I worked with two of my friends to build an effective presentation to give to the eighth graders to discuss all areas of mental health. We split our presentation up into three parts to make it more efficient and so that we could cover more topics in our presentation within the constraint of the timeline of the conference. My topic was mental illness in teens, mostly on finding anxiety, depression, support systems, learning how to cope, and how to help others. Throughout my first two years in high school, I’ve noticed that in a school overwhelmed by academic pressure and stress, no one talks about mental health. I wanted to focus my project on beginning to eliminate the stigma surrounding mental health and to allow students to feel comfortable speaking out and finding help when they need it. Recently, I went to a Mental Health Alliance lunch, this was the first lunch as the alliance was just created maybe two months ago. Overall, it was a pretty moving experience – people felt comfortable talking about mental illness in a way they hadn’t felt comfortable talking about it in a school environment before. While the whole meeting was overall pretty positive, I was saddened to see as I looked around the room that not a single guy was in attendance. The lack of attendance could have occurred for several reasons – they didn’t want to lose their lunch break, they all wanted to play Fortnite (or Surviv.io), or they all fell victim to the toxic societal stigma of men having feelings. Overall, I found the Mental Health Alliance to be a great place for people to find support and feel like they aren’t alone in feeling the way that they do, but because of the lack of males in attendance, I found our presentation to have even more importance. Creating exposure to mental illness and normalizing it sooner would hopefully allow everyone at my school to feel more comfortable expressing emotion. 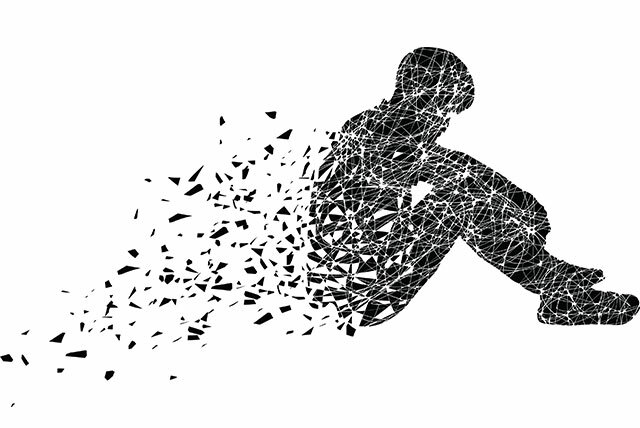 Approximately 1 in 5 adults and 13-20% of children in the United States have a diagnosable mental health disorder, with 1 in 8 children experiencing an anxiety disorder. Based on these incredibly high statistics, it’s safe to assume that a fair number of students at my school will experience a mental health disorder. Making sure that all of these students feel safe and supported in their school environment is incredibly important. Everyone experiences anxiety in phases throughout adolescence, but as it begins to become a constant theme in your life or begins to affect major areas of your life negatively, it becomes a problem. I asked students in my grade what they think would’ve made their transition easier – a common theme was that they wished they had been more prepared for the academic pressure. These answers reveal to me that most students’ stress stems from academics rather than from the social aspect of high school. School can cause stress and anxiety, but anxiety can also make it harder to do well in school so it’s important to find ways to counter it and cope. I found this video to be very good at normalizing anxiety, unifying the audience, and keeping the tone casual to help create empathy. Empathy is so important in getting past stigma! To further erase stigma after starting the conversation about the significance of mental health and normalizing it, it’s important to empathize with others and be understanding regardless of if you are living with a mental illness or not. In the future, I obviously will give the presentation to the incoming freshmen and if that seems beneficial we might do it again next year. Additionally, I’m going to be regularly attending Mental Health Alliance and helping them to create awareness for mental illnesses. You can help, too!! You can make a major difference by trying not to perpetuate stigma. You can do this by changing phrases like “suffers from mental illness” to “lives with mental illness” or “is affected by mental illness.” It’s also important when referring to people experiencing a mental illness to say “he/she/they are living with schizophrenia,” for example, instead of calling them a “schizophrenic.” While we probably don’t realize it, this makes the person completely defined by their mental illness. Think of it like this: you wouldn’t call a person with blue eyes, “blue-eyed” because while that may be one of their characteristics, it isn’t their defining quality and it doesn’t change who they are as a person. Also, try to eliminate terms like “psycho” from your vocabulary because they can be offensive and contribute to stigma. What aspect of high school has been the most stressful for you? “Choose Your Words.” Bring Change to Mind, bringchange2mind.org/talk/choose-your-words/. “Dealing with Stress at School in an Age of Anxiety.” Psychology Today, Sussex Publishers, www.psychologytoday.com/us/blog/stressful-lives/201708/dealing-stress-school-in-age-anxiety. “Depression In Teens.” Mental Health America, 8 Dec. 2016, www.mentalhealthamerica.net/conditions/depression-teens. This is an important and worthwhile message – I was particularly saddened by the fact that males were less likely to attend a workshop on mental health (even with free food involved!) as it reinforces the stats i.e. that boys are less likely to talk about their feelings and/or seek help when dealing with a mental illness. I was so saddened to see that, as well. I think it’s such a major issue in our society that we need to fix. Thank you for reading!! I really took a lot away from your project. I think the themes you touch on are so important to communicate to the youth. And as someone who is currently enrolled in Gender Studies, I’m really glad you mentioned the lack of men willingly to talk about their feelings. All bouquets to you for fighting to end the stigma of mental health as a “girly” subject. Thank you!! I think it’s so sad how societal stigma has limited a major percentage of people from talking about something so important. I’ll have to look at your presentation, I’m excited to look further into the ways gender roles affect our society. Thank you, Mads!! Can’t wait!! Hi Caroline! As someone who has worked with this age group (rising 8th graders) I think its such an important conversation! I also think its great that you are not only focusing on the transition to high school but mental health more generally. Good luck with your efforts! Hi Caroline! Great work! I didn’t even realize how something as small as changing the way we talk about mental illnesses can have such a profound impact, and I had no idea that people who deal with mental illnesses could feel like they are defined by it. The anxiety symptoms list was very helpful. Really enjoyed your presentation; good luck with everything! Thank you!! I think the way we talk about anything make some sort of impact and it’s been really important for me to realize the effect that even the little things we would consider insignificant have on others, so I’m really happy to know that you learned something and I hope that this project makes an impact. Hi Caroline! I’m really glad that you made this project. As a freshman myself, I know that some of the most meaningful conversations I’ve had on this topic have been with upperclassmen who tell me their own stories. This information would be really helpful for thousands of kids out there.